Coaches and Club administrators are able to register for courses with one transaction and make a secure payment with their Visa or MasterCard. 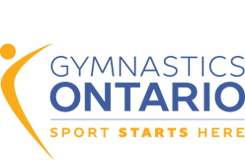 Gymnastics Ontario will not be accepting any hosting requests for the month of November 2017. Before registering for a course, please be sure to obtain 2017-2018 Gymnastics Ontario Member number and log in information from your Club administrator. If you are registering for courses beginning July 1 , 2018 please ensure you are registered as a coach in the 2018-2019 season. For more information and a step by step registration guide for Foundations courses, click here. If interested in hosting one or more courses, click here for more information.